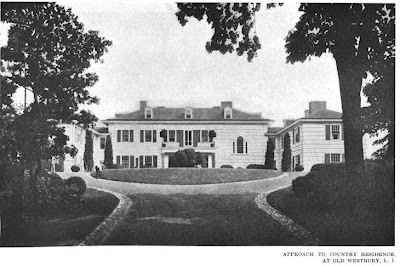 'Old Acres', the estate of Robert Bacon Sr., designed by John Russell Pope c. 1907 in Old Westbury. 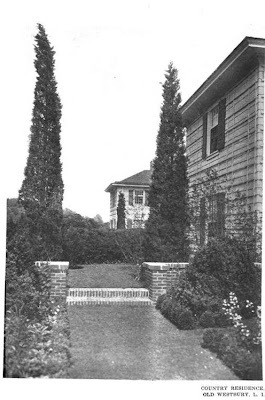 Landscaping was done by Martha Brooks Brown Hutcheson. The home burned to the ground after having been completed for only a week but was quickly rebuilt to the same plans. Bacon was a partner at J.P. Morgan and Co. and served as Assistant Secretary of State from 1905-1909, becoming Secretary of State for the final 38 days of Theodore Roosevelt's final term in office in 1909. He was the United States Ambassador to France from 1909-1912. 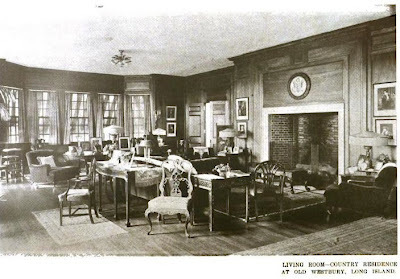 The house was demolished in 1942. It sat somewhere on the Bacon property which ran east of Bacon Road between Jericho Turnpike and I.U. Willets Road. Click HERE to see Robert Bacon's daughter and son-in-law's house 'Home Acres', which sat on the Bacon property (and still does). 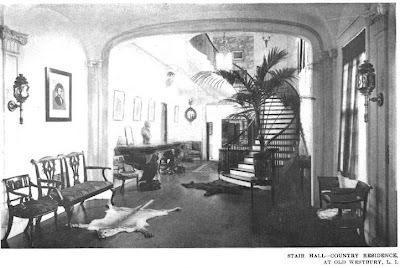 Pictures from Architectural Record, 1911. There is still a large piece of property in this area that seems to have a racetrack. Was that a Bacon house? Yes that is the Robert Bacon Jr. estate 'Arlough', still entirely intact and privately owned. what the heck is that monster house next to Arlough with the long allee of trees and the pond.? A private residence built about 10 years ago. That part of the street used to be a sump so I imagine the pond was required. Still looking around this interesting Bacon area. A place across the street from Arlough is identified on Wikimapia as the C.Z. 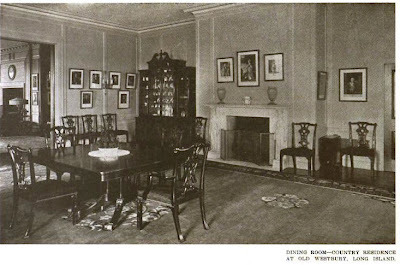 Guest estate. Any idea who the original owner and architect were for this house? Sorry, the Bacon House could not have "sat somewhere on the Bacon property which ran north of Bacon Road between Jericho Turnpike and I.U. Willets Road" because Bacon Rd runs north/south between I.U. Willets Rd & Hillside Ave - it does not intersect with Jericho Tpke, and didn't in 2010 either. Bacon Rd doesn't run east/west until about 1/4-1/2 mile north of I.U. Willets Rd. 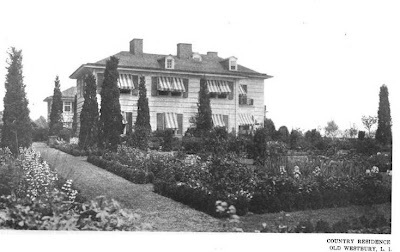 Is it possible the house was north of Bacon Rd., between Guinea Woods Rd & Old Westbury Rd? The C.Z. Guest property was north of I.U. Willets at corner of Old Westbury Rd. I believe.